Regardless of the wrath I might bring upon the world this deal is quite something and even comes close to the “legendary” acquisition of Pixar. But why did Disney buy Marvel and what are some consequences of this deal? 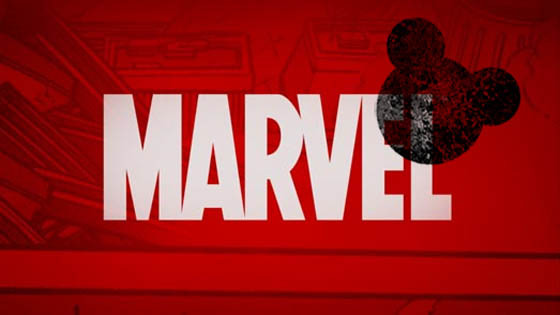 Marvel, compared to some of the big players on the media market, is not that a big player at all regarding its gross revenue of about 700 million Dollar in 2008 (Disney reached almost 38 billion Dollar). Net income was about 200 Million Dollar. Compared to the year 2007 the gross revenue increased by almost 200 million Dollar but that increase is due to the start of the production division which accounted for 255 million Dollar. Licensing and went down, publishing kept the same. So what does that mean for Disney? The second point is especially important I think. If you take the 200 million Dollar net income, it would mean that Disney needs 20 (!) years until the 4 bn mark is reached. That is quite some time. Of course Disney thinks in long terms, but this time frame is quite something considering that in ten years the whole business might look quite different. Let’s take the movies. At the moment superheroes movies make tons of money. But I am absolutely sure that this era will come to its end sooner or later. We had screwball comedies and we had our 80s action movie stars. This hype is not any different from the ones before. In other words: Disney needs to produce many movies fast. If done well, they make money and go on, if done badly it will ruin the Marvel brand and its “properties”. Of course, Disney will also go for Saturday morning cartoons, Disneyland stuff and merchandising, possible in Star Warsy-epic dimensions. But lest not forget that the production of such media and rides also costs money. Before Disney can think of accounting or offsetting those earnings against the investment done, it needs to think of earning enough money to get their production specific investments back. It’s no question that Disney bought some cool stuff with Marvel. 5000 characters is quite a number to milk money from. The problem? The Long tail if you can call it that way. Only a handful of superheroes and supervillains are well known and I’d dare to say for the better. Therefore, I’d that the big chance for Disney in my eyes lies within this vast world of possibilities and ideas brought by those characters, not necessarily the characters themselves. Think of TV series or cartoons or movies that are produced for DVD as Bambi 2 or other sequels. What’s also important is the fact that Disney long struggled to go for the older, teenage male audience and as proved by Treasure Planet an Atlantis it didn’t work out quite well. By buying Marvel Disney now not only own a bug universe but also big talent to go for this very audience. How need the stories to work, what’s cool and not so cool for young male people? I think that Marvel knows way better than Disney and personally I believe that this was the main reason to buy it. And Vince Mancini adds that milking the cow is indeed the way of Hollywood-Zen (accompanied by his hint of a little detail you could call a rush of white lines).